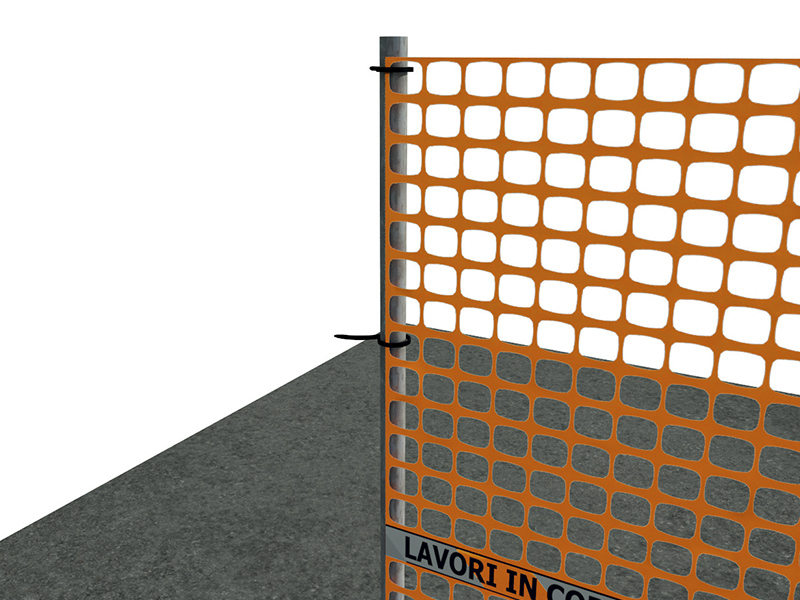 Safety fence with refractive band, building site fence. 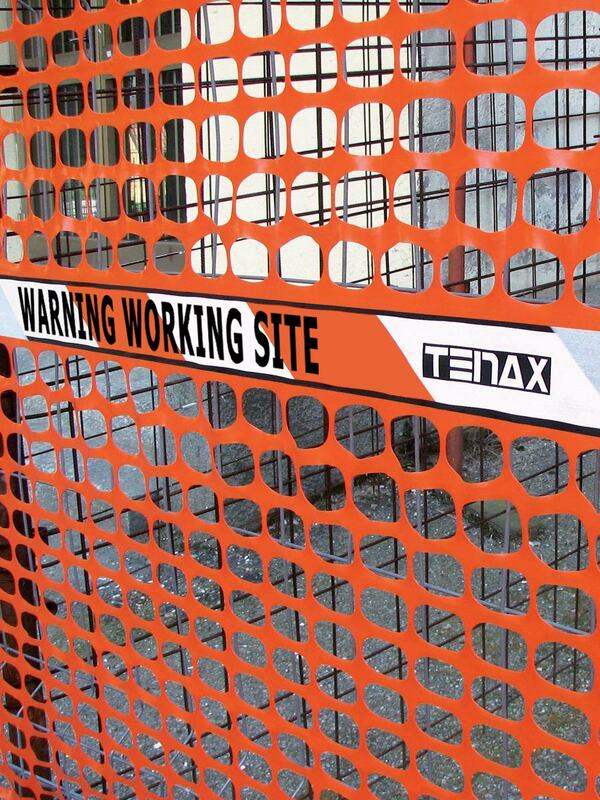 Tenax. 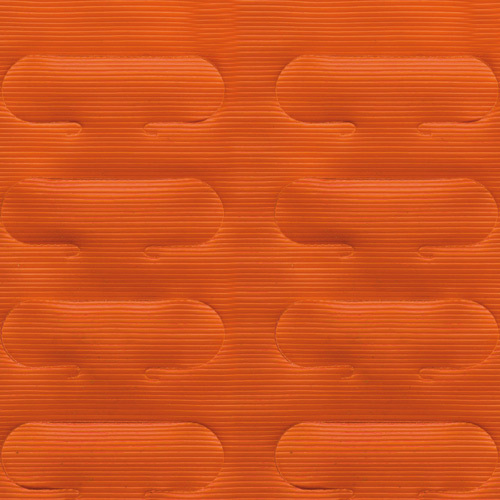 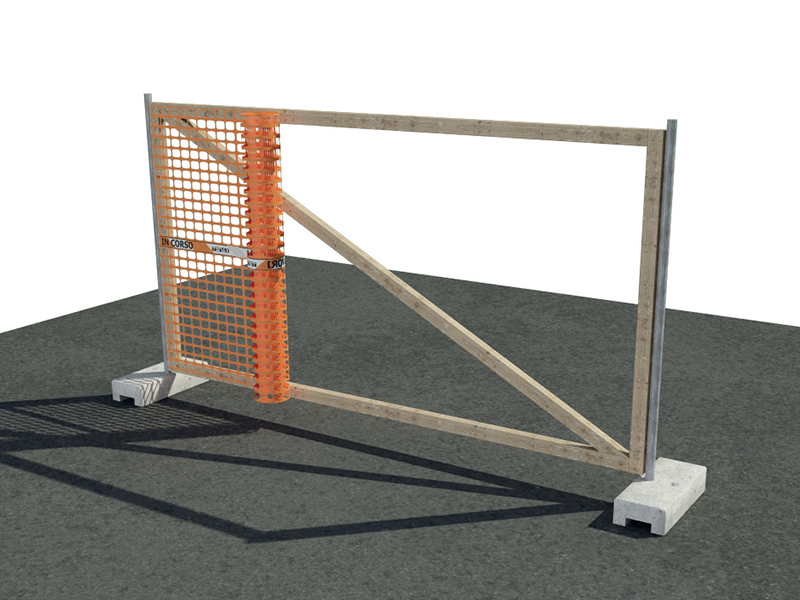 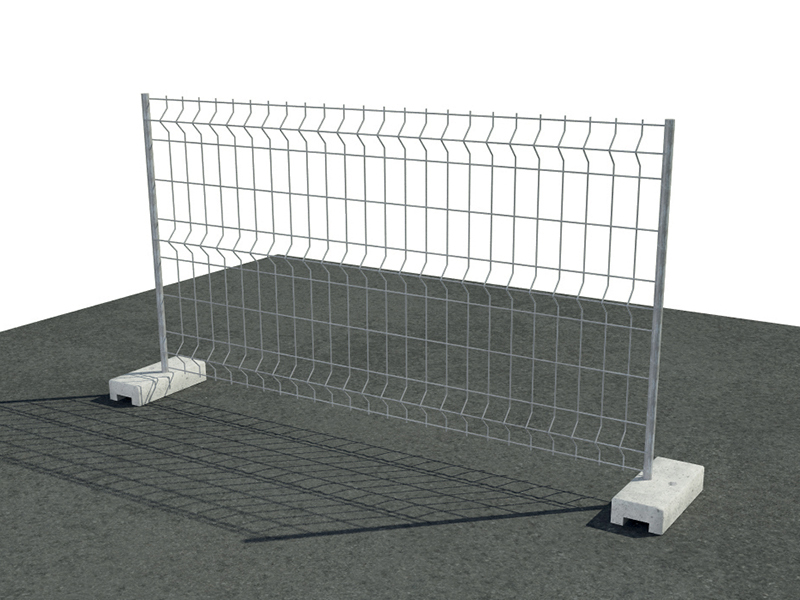 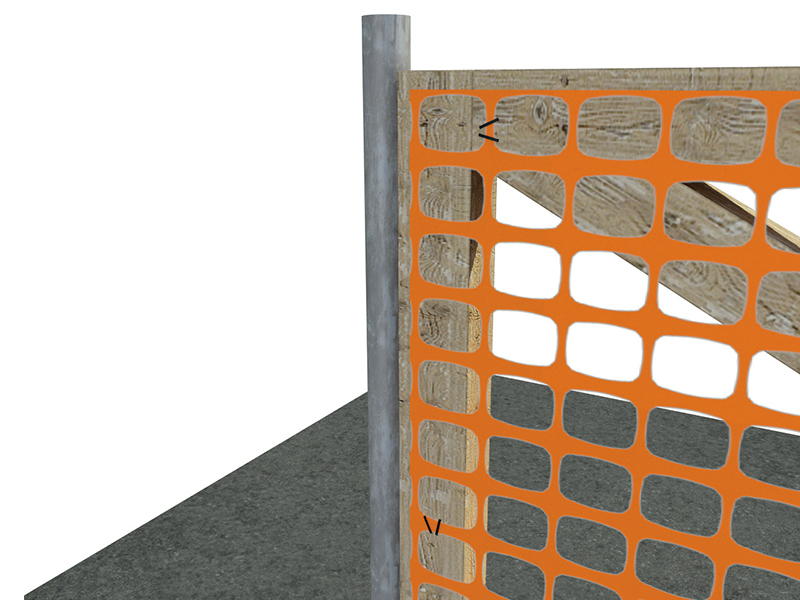 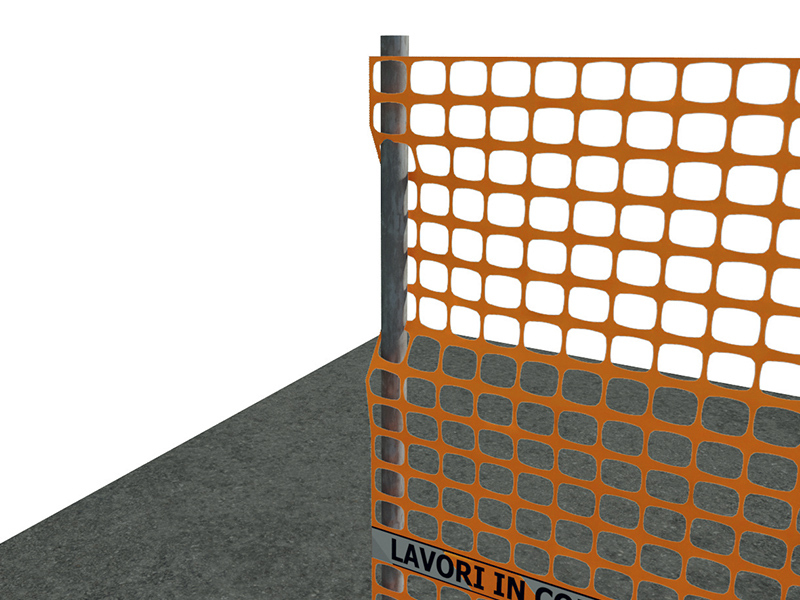 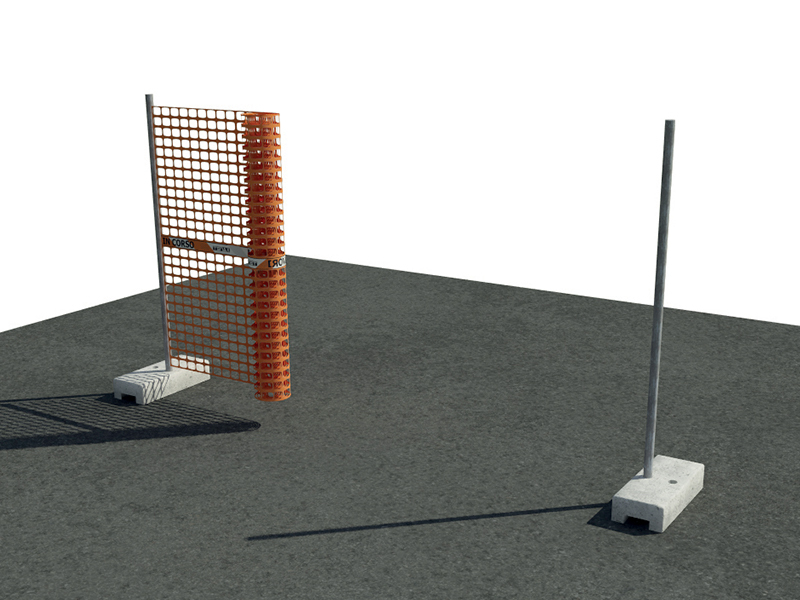 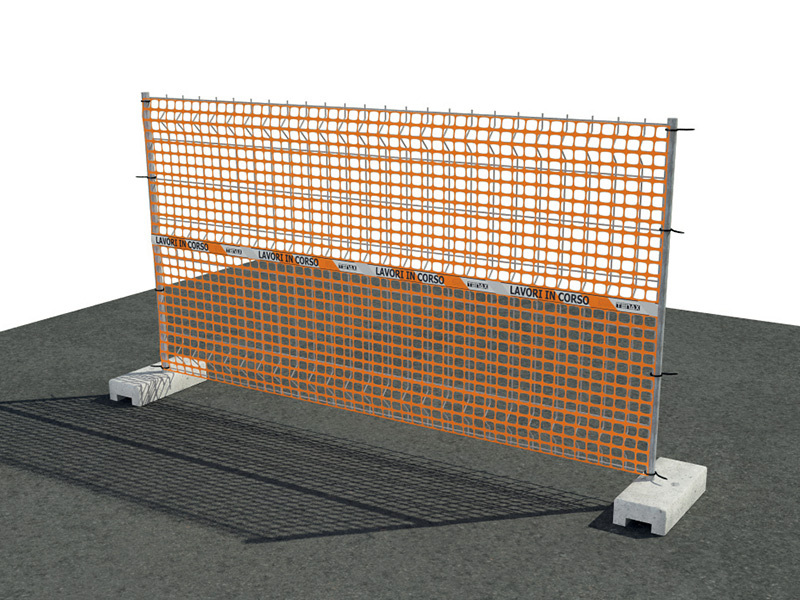 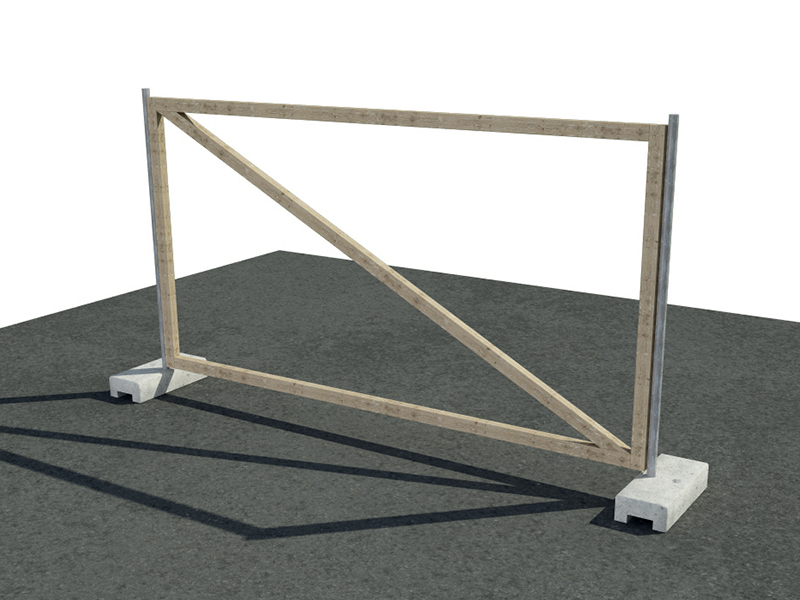 Extruded HDPE building site fence with quadrangular mesh. 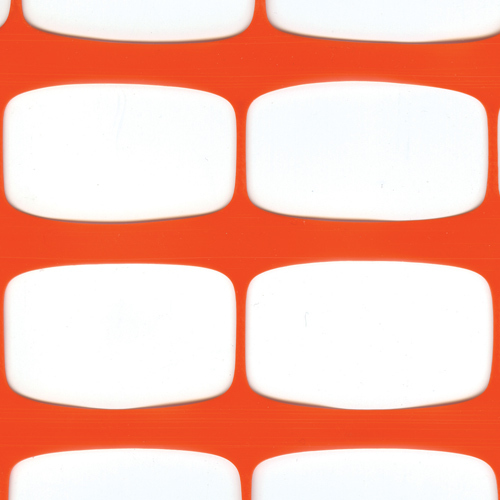 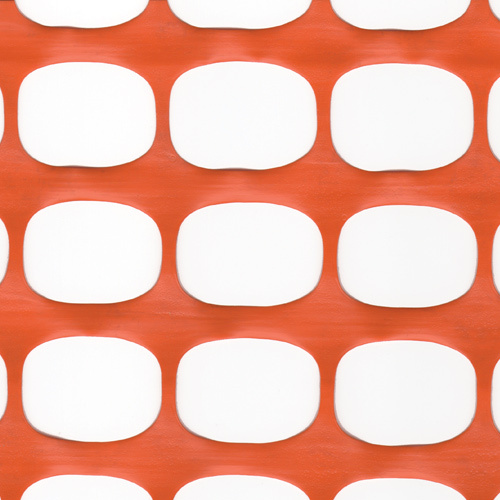 The edge and the central refractive band are tear-proof. 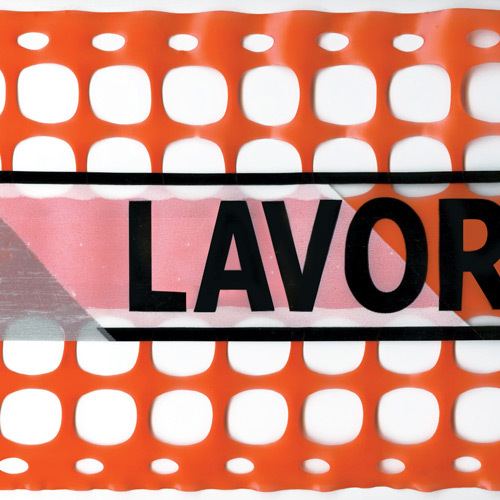 The red and white refractive tape with the “Warning working site” sign is thermo-welded on the central band.